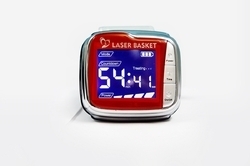 DR CURE AND CARE LASER HEMOTHERAPY DEVICE LLLT work on cholesterol, heart health, diabetes and nasal allergies too. Its enhance the quality of daily routine life through low level laser therapy. This therapy work on humen blood streams and though whole body. Packaging Details: HOST MACHINE 1, USB CHARGER 1, NASAL PROBE 1. Looking for Control cholesterol, heart health and diabetes ?